Shares of low-cost carrier SpiceJet gained as much as 13.75 per cent to Rs 135.80, close to its 52-week high level of Rs 139 touched on April 18, 2018, after the airline said it will add five 90-seater Q400 aircraft taking its Bombardier fleet size to 32. Shares of Jet Airways tumbled nearly 19 per cent in intra-day trade on Tuesday after the debt-laden airline's former chairman and founder Naresh Goyal withdrawn from the bidding process as Etihad Airways and TPG Capital threatened to walk out of the deal. Adding the woes, Jet Airways has extended the cancellation of international operations till April 19 as the SBI-led consortium of lenders failed to reach a consensus on releasing emergency interim funds to the beleaguered airline in Monday's marathon meeting. 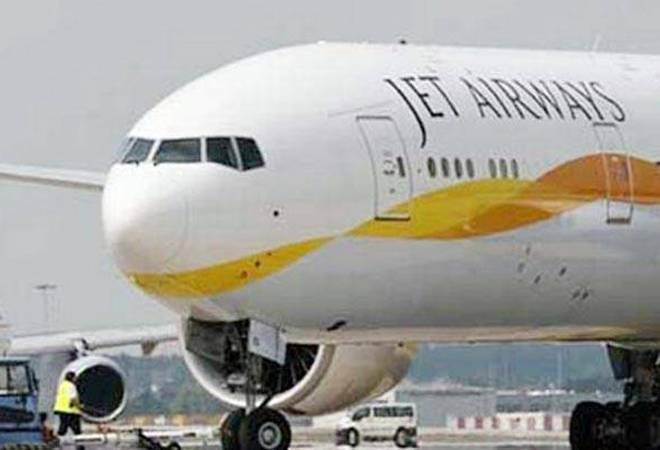 Weighed down by the development, Jet Airways shares declined as much as 18.56 per cent and touched an intra-day low of Rs 213.20 against previous close level of Rs 261.80 on the Bombay Stock Exchange. There was surge in volume trade with as much as 33.55 lakh shares changed hands on the BSE as compared to two-week average of 11.55lakh shares. In a similar trend, Jet Airways share price were currently trading 12.32 per cent lower at Rs 229.45 apiece on the National Stock Exchange. The scrip opened at Rs 255 and has touched an intra-day high and low of Rs 257 and Rs 213.20, respectively. The BSE has sought clarification from Jet Airways (India) with reference to news that it is likely to temporarily shut down its operations. On the flip side, shares of rivals, SpiceJet and InterGlobe Aviation, rose between 2-8 per cent after on hopes of higher yield due to the capacity shortage caused by the crisis in Jet Airways. InterGlobe Aviation, parent of IndiGo, shares jumped as much as 9.17 per cent in intra-day and touched 52-week high of Rs 1,610 against previous closing price of Rs 1,474.75.